Kris Auer is a passionate American 'cross racer (and fan) and his passion runs so deep that his Twenty20 company is sponsoring Saturday's historic Koppenbergcross women's race in Belgium. Kris talks to Cyclocrossrider Editor Konrad Manning about his support for the sport and it’s wider agenda. KRISTOPHER Auer flew from the States into Belgium on Tuesday to stay for a few days in the shadow of the famous Koppenberg near Oudenaarde. Kris, who raced some of the first UCI-ranked cyclocross races in the United States, is no ordinary fan or rider visiting the Flemish Ardennes, and paying homage to one of Belgium’s most famous climbs, though. Auer’s company Twenty20 Cycling, which consists of two bike stores in Maryland, is the title sponsor of Saturday’s women’s Koppenbergcross race - round two of the bpost Bank Trofee series. It’s almost unprecedented for an American sponsor like Kris Auer to be involved in professional European cyclocross. Not only that, but Kris’ support has enabled the women to receive equal prize money to the men – the first time this has happened in a major European UCI-ranked race. Kris got talking to Oudenaarde-based Brits Helen and Stef Wyman and his interest in the Koppenberg race grew. The Koppenbergcross is a relatively modern race, established in 1988, but the nature of the course – climbing part way up the cobbles used in the Tour of Flanders, climbing further on the rough pasture of the hillside and then corkscrewing its way down again – has quickly made it into a ‘cross classic. On Saturday, Twenty20 will also provide a ‘neutral warm-up and support area’ for all women riders close to the start line. Kris has noted that the women racers often have the least logistical support at the big races. 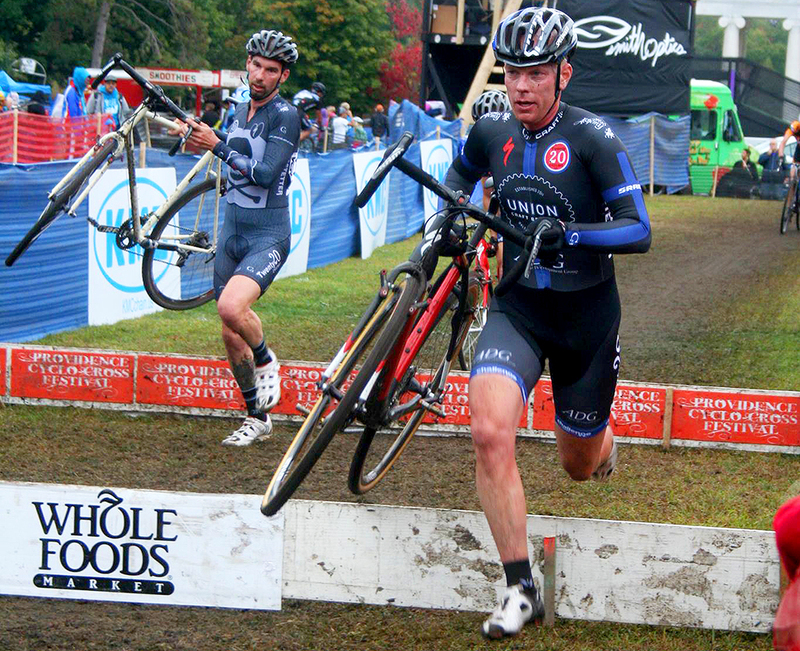 Auer raced at a high level in the American cyclocross hot bed of New England before moving to Baltimore in 2001. “Yes, that’s some time ago now. I was up against a young Jonathan Page and Mark McCormack (the 1997 American ‘cross champion who also won the national road title in 2003),” reveals the forty-three-year-old who’s still racing and finished 20th in the 2013 American masters championship. “Equal money payout, at least for the top three, is common on the East Coast racing scene,” says Kris who also promotes the successful Charm City ‘cross weekend in Baltimore which is two back-to-back UCI C2-ranked races in late September. Kris also provided support for former New Zealand champion Alex Revell’s recent racing trip to the States. He met Alex last season and they kept in touch. “Cyclocross is a sport that I love and that’s why I want to see it grow and it’s great to work with someone like Helen (Wyman) who picks up the ball and runs with it. From my point of view, it’s not all about business, there has to be some return on investment, but that’s not why I signed up,” Kris says. Helen Wyman on the packed Koppenberg hillside in 2012. Especially with American champion Katie Compton away racing in the States at the new Pan-Am Championship, I ask if Kris predicts that British and European champion Wyman will win her fourth Koppenberg title on Saturday. “Of course,” is his reply. And what about the men - I throw in as one final question. “I don’t really support one rider over another US rider,” he says before pausing. Fair play to Kris Auer and his initiative and we hope he enjoys his involvement in the Koppenbergcross and also enjoys his day - as a fan of cyclocross just like the thousands of others - at Zonhoven the day after. Twenty20 Cycling have two stores in Maryland, USA. Main image: ©kramon/cyclocrossrider.com. Portrait photo: ©Kevin Dillard. Action photo: ©Jen Sears.